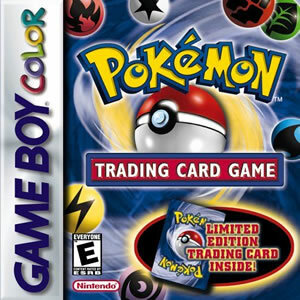 The Pokemon Trading Card Game for Game Boy was the first electronic version of the Pokemon TCG. It was a combined effort between Hudson Soft and Nintendo and it's initial release came in Japan in 1998, it was two years before it would be released in the west when it was finally released in Australia and the U.S in April 2000, eventually arriving in Europe on December 15th, 2000. 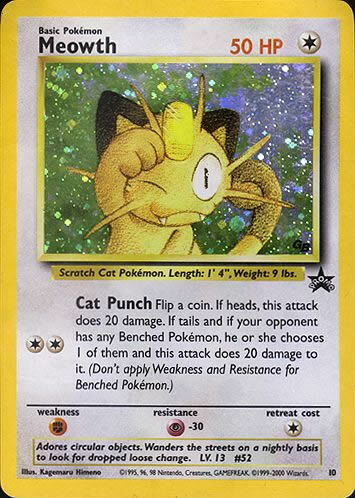 The game had a promotional Pokémon Card of Meowth shipped with it in the West, where in Japan they got a special Legendary Dragonite. In Japan the Pokemon TCG GB has a sequel called Pokemon Card GB2: Here Comes Team GR (Great Rocket). We hadn't seen the last of the Pokemon TCG GB version in the early 2000's though, it was later re-released as the first ever Nintendo 3DS Virtual Console game in December of 2014. Many years later it would be superceded by The Pokemon Trading Card Online. The game starts out at Dr. Mason's Laboratory, where the player has to choose one of the three starter decks offered, similarly to choosing a starter Pokémon in the main game series. Once the player chooses either the Bulbasaur, the Charmander or the Squirtle Deck, they set out on their journey to become the best trading card player and inherit the legendary cards that only a worthy card player can have. To do so they have to defeat the eight Club Masters and earn the eight Medals, then defeat the four Grand Master, which is also similar to the Gym Leaders, their badges and Elite Four concepts of the other games. 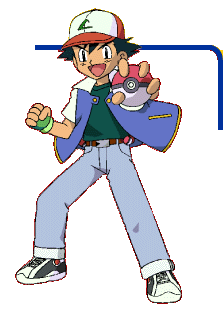 Moreover, the player has a rival named Ronald, whom he'll have to duel several times, throughout the game course. The gameplay, as stated in the plot, is somehow similar to the adventure Pokémon games. The player has to defeat the Club Masters, earn the eight medals and then vanquish the Grand Masters. Defeating an opponent will earn the player a Booster Pack, which provides a number of random cards, and with the game having 228 cards the player will have to repeat the process over and over. The Booster Packs can also be received as gifts in emails from Dr. Mason. There are 5 types of Booster Packs that can be earned in the game, and they are as follow: Colosseum, Evolution, Laboratory, Mystery and Promotional Booster Packs. Each of the types has a unique sets of cards.Earning Medals from Club Masters unlocks certain Auto Deck variations, that can be used once the player has all the listed cards in the deck. Multiplayer features are available in the game, allowing players to trade deck configurations and cards, and also have fun battling each others. Along with the Booster Packs, there are few other ways to earn cards in game. There are in game trade instances where certain characters will sometimes offer a Promotional version of the card the player gives them, as they can also request a card different from theirs. After trading a number of cards with some characters they might as well give the player a Promotional Card as a gift. The player will additionally, receive cards upon beating their rival in the duels. The Challenge Cups is another feature available in Pokémon Trading Card game, unlocked only after the player earns 3 Medals then 5 Medals. These cups will put the player against three opponents that they have to battle consequently, earning few rare cards as a reward. The Player can save in between the matches, as the final match will sometimes be against their rival, who'll put quite a challenge. Similarly to Challenge Cup, there's another feature called Challenge Machine, that is unlocked upon defeating the Grand Masters, and is available in Dr. Mason's Laboratory. Using this machine, the player will battle consequently five trainers, but this time with no pause or save. All the trainers will be random ones from the game, with the three first ones being normal trainers from the eight Clubs, the fourth trainer being a random Club Master and the Last one being a random Grand Master. The Grand Master in the final round is sometimes replaces with Dr. Mason's assistant, Tech Aaron or the mysterious character wearing the mouse costume, Imakuni. This feature is activated by connecting two Pokémon Trading Card games cartridges' infrared ports. It will allow both players to receive a random card from the game, and is the only way to obtain the Mew Lv 15 card and Venusaur Lv 64 card, also known as Phantom Cards. The player cannot repeat the same process with the same game, unless the owner of the other game and the player themselves manage to change their partner's ID, which requires the player to Card Pop with many other games first. One have to note that the Card Pop feature cannot be used with the game sequel Pokémon Card GB2, as it will freeze or glitch the game, and might even damage the save data. Connecting the games with the Game Link Cable allows the players to duel each other and test out the decks they built so far. Furthermore, using the cartridge's Infrared feature, players can trade deck configurations, cards and even use the Card Pop option. On December, 2014 the game was re-released on the Nintendo 3DS Virtual Console, with few alterations to the gameplay. The Multiplayer features were completely disabled, As the Game Link cable doesn't work with the 3DS. Since the 3DS didn't have the Infrared functionality, obtaining the Phantom Cards was deemed impossible and the Card Pop functionality was also removed, but the Mysterious Pokémon Deck was still displayed in the Auto Deck Machine. References to the Phantom Cards were, as a result, made inaccessible in game like the shelf containing books about the cards in the house of Mr. Ishihara. 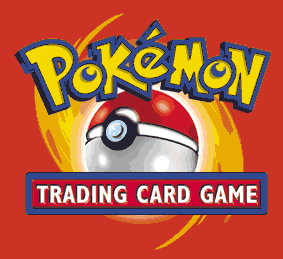 Like most of the Pokémon games, Pokémon Trading Card game was released in Japan first and then on an international level, with the two versions having slight differences. The screen title and the booster packs artworks were changed in the international release, along with the back design of the cards which was altered to the one used outside of Japan. The artwork of few cards was tweaked, like the Jynx Lv 23 card, on which Jynx's face was changed from black to purple. 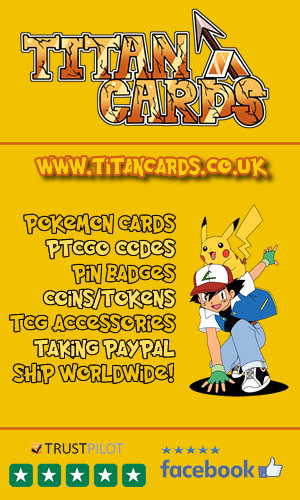 Pokemon Trading Card Game GB version videos including launch trailer, playthrough and more. In the Japanese version of the game, the Surfing Pikachu card had a different artwork, as it had a train and Mt. Fuji in its background. Both the trains and Mt. Fuji were removed in the International release. The mysterious Imakuni character wearing the black mouse costume is a reference to Tomoaki Imakuni, a Japanese musician who made many Pokémon songs for the Pokémon anime series. Within the Challenge Hall, where the Challenge Cups are held, there's a room that cannot be accessed by players, although it was fully designed and scripted. The Ninetales Pokémon card is written Ninetails in Pokémon Trading Card game, which is the write name of the Mythical Japanese creature, whom the Pokémon is a reference to. Both the game and its sequel make use of the Pokémon Sprites featured in the main adventure game series (Pokémon Blue, Red, Yellow, Gold and Silver), making them the only spin-off titles to do so. There are two special layout borders that weren't featured in the game , but are still present within its core data files. These are thought to be used to test if the borders and correct the graphic glitches. Pokémon Trading Card game had successful sales campaigns, as the game sold around 550 thousand copies in Japan alone, within the first three weeks of its release. The sales continued to increase further and further, with the game selling a total of 1.38 million copies in Japan, 0.73 million in Europe and around 1.5 million copies in North America, with a global number of 3.70 million copies sold. 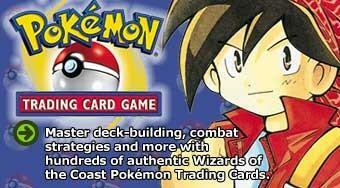 Pokémon Trading Card Game was very well received and managed to get incredibly high scores on major review websites. Let's take a look at these scores :Craig Harris from IGN really enjoyed the game stating " I can't tell you the excitement felt every time I won a game and got the opportunity to rip into the booster packs I've earned after a battle." and rating it 9/10, the equivalent of "Amazing" on the IGN scale. Peter Bartholow from GameSpot was also Pokemon TCG GB Logo impressed by the game mechanics and thought it was "a faithful and amusing adaptation of the collectible card game", rating it 7.6/10, which equates to "Good" on the GS scale.On GameRankings, Pokémon Trading Card Game earned a very high score of 81.25% over 13 reviews. Overall, the game was very popular among Pokémon fans, especially those who enjoy card games, who also patiently looked forward for the sequel, which was sadly, only released in Japan.